2 Bedroom Flat For Sale in Tunbridge Wells for Guide Price £260,000. 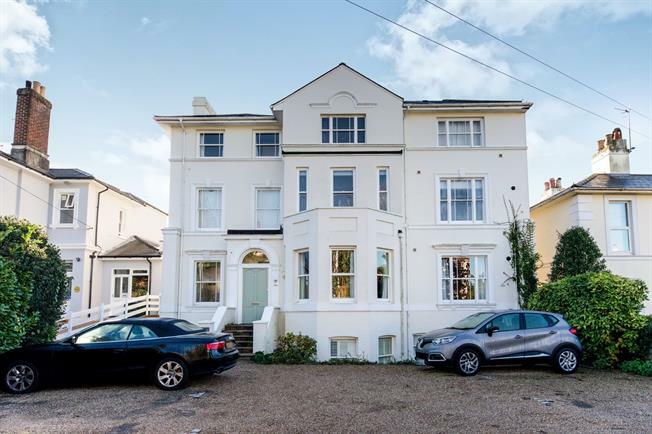 GUIDE PRICE 260,000 - 280,000 Set in the popular area of Southborough on the outskirts of Tunbridge Wells, this well-appointed apartment in a handsome Victorian building offers bright spacious living with flexibility for modern lifestyles. Its open plan living room / kitchen is ideal for entertaining and features a vaulted ceiling, triple aspect windows and skylights, which gives a sense of light and space. The large east-facing balcony is accessed off the living room and second bedroom, providing private outside space with far reaching views. The master bedroom benefits from a pair of sash windows, fitted wardrobes and direct access to a modern white bathroom. Outside there is a residents parking area with one allocated space and a well-maintained communal garden. A viewing comes highly recommended.